Hands-on with Injustice 2: will the new gear system cripple or crown Nether Realm’s next fighting game? 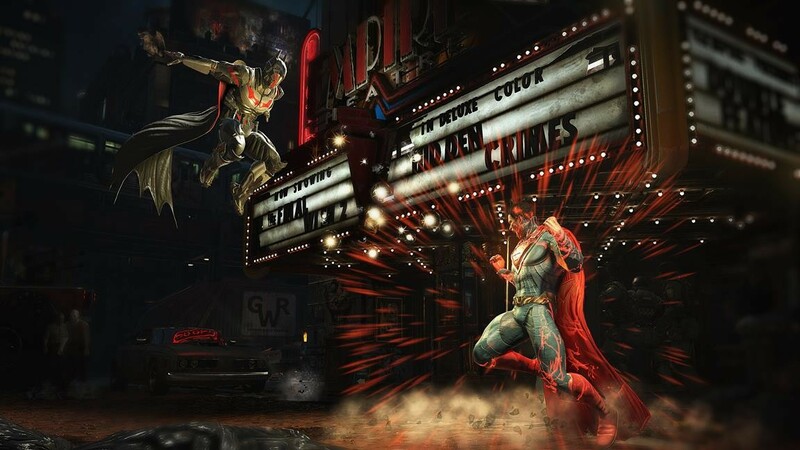 Injustice does bold things with balancing in order to step out of Mortal Kombat’s shadow. It’s not exactly a secret that I really love fighting games. If I had more time to get out to tournaments (and lest we forget, more skill) I certainly would – and Nether Realm is as much a staple of the world of fighters as any other. They’ve become damn good at it too. Mortal Kombat X became the fastest-selling title in the franchise when it launched last year and was in the top ten best-selling games at retail for the year in the US. While perhaps Capcom’s Street Fighter is still regarded as the daddy of competition, Mortal Kombat is the title that’s found mainstream acceptance in a big way, and for good reason. I also really loved the first Injustice. 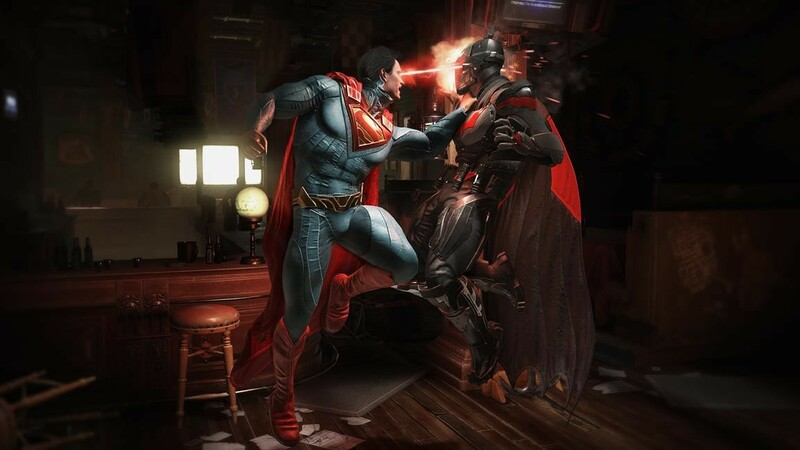 I don’t think the DC roster is anywhere near as interesting as Marvel once you scratch beyond the surface, but with another Marvel vs Capcom seemingly off the cards for now Injustice was a welcome return to the superhero fighter, allowing you to play out those dream battles you’d imagined as a kid. I developed a pretty mean Harley Quinn and I had a lot of fun with it. It was a solid game; Mortal Kombat but with less blood and more over-the-top super moves, punching people through the planet and all that. The good news about Injustice 2 is this: the game looks like more of the same. After around half an hour toying with it I can go one better, even: it plays like more of the same. There’s a natural and linear evolutionary line from Mortal Kombat 9 through to Injustice 2, each game building on the last. This is a good thing, but at the same time wrapped up in it is some news that isn’t necessarily bad but also has me concerned, but we’ll get onto that later. The roster of the game looks like it’ll round out at 28, at least based on the development build I played. Only a few were available for me to play, and you should beware of any stories speculating on additional character identities based on blacked-out character select screen silhouettes. I’m pretty sure one of them is Conan O’Brien, and Nether Realm has cheekily used fake placeholders to mislead fans before. 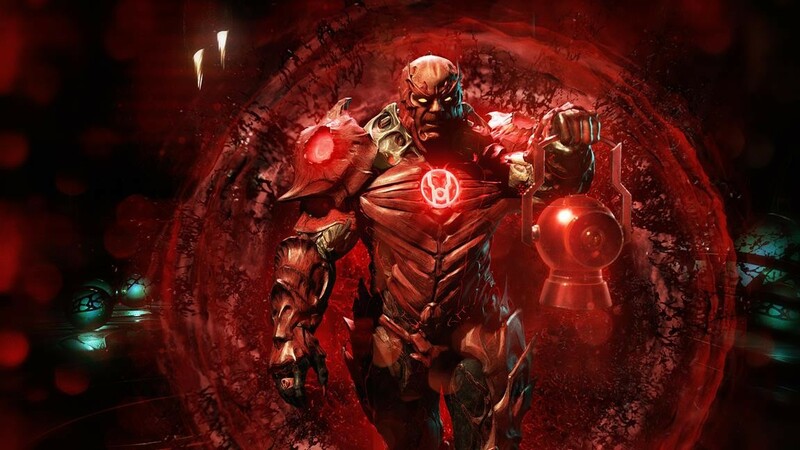 Actually present in the E3 demo were Supergirl, Atrocitus and Gorilla Grodd – all interesting new takes on things. Gorilla Grodd is the stand-out, a combination of brute force – he is a gorilla, after all – and telekinetic powers. Strength and intelligence collide and the result is interesting. This is a character that can dash up to you on all fours at an alarmingly fast rate and use super strength to absolutely batter you, but equally can use telekinesis to float, or grab a character from a distance to react to a projectile. Supergirl is what you’d expect: she’s Superman but a little quicker and more agile, but less damaging. A sort of Sakura to Superman’s Ryu. Both feel great. Batman and Superman were both also available, and both look similar to their selves in the previous release, though both do have new balancing and all-new supermoves. All these are solid things for a fighting game sequel to add, and I hope most of my favourites from the previous game return – I need my Harley. Combat feels as good as it did in the last three Nether Realm releases, with a heft and weight to impacts that feels pretty excellent all told. 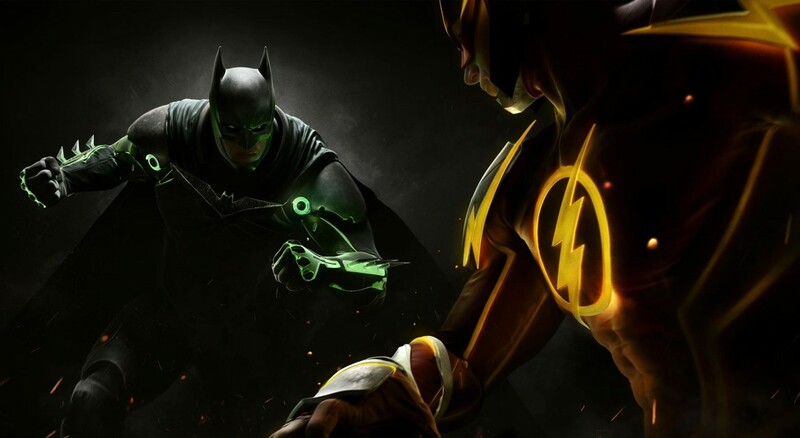 Injustice’s tagline is that every battle will change you. Every victory, every defeat, yadda yadda and suchforth. The trailer blares all this at you, and it should be exciting, but this is also what leaves me a tad worried. Here’s the rub: Injustice 2 has a gear system, which is perhaps a natural evolution of MK10’s stances. Gear drops randomly when you complete fights, and fighters level up as you go. The cool part is that gear actually has an impact on your character’s appearance, and that appearance can vary wildly. One Superman variant I see is based off the ‘Red Son’ comic line, which is a darker costume with the iconic ‘S’ replaced with a hammer and sickle – in the alternate-universe storyline, Superman instead landed from space in Russia and was raised by communists. There’s also all the armored up variants as displayed in the trailer, so Batman can turn himself into a veritable tank, and so on. Gear can be equipped on different body parts which differ from hero to hero. From the moment you finish your first few fights you’ll start upgrading and adjusting your hero, and gear actually changes stats, offering small percentage boosts to things like health or damage dealt. The character select screen straight up tells you key stats for each character in numbers, so as you equip or remove gear you can see these numbers rise and fall, which is a nice touch. This scares me for two reasons: balance is a sacred thing in fighting games – perhaps the most sacred thing – and what a system like this that allows you to adjust characters does to balance is a massive question mark. We already saw a disastrous attempt at this with Street Fighter X Tekken, which introduced the game-wrecking gems system. I’m not saying a system like this is inherently bad, but I am saying that thus far it’s appeared to be an incredibly easy thing to screw up. This links into my other great concern: downloadable content and microtransactions. Nether Realm boss and Mortal Kombat god Ed Boon is on record at E3 saying the studio plans to take a “more aggressive” approach to DLC with more characters and items than ever before. This isn’t an inherently bad thing either, but we’re already into talk of offering paid options for gear unlocks. With gear being random and having an impact on gameplay stats, where does this lead? Overwatch came into some criticism for its loot box system, but one thing that can be said for that game is that all those unlocks were cosmetic. Injustice 2 is already leaning towards a similar system for gear that can add percentage-point boosts to a characters’ performance. And that sounds like the tip of a slippery slope towards a pay-to-be-better future online and a nightmare for offline tournament organizers who have kept the post-launch scene vibrant for MK 9, 10 and the original Injustice. As such, I come out of Injustice 2’s E3 showing excited but also cautious. I loved what I saw and played. It’s more of the same, but when the first game was as good as it was, that’s nothing to sniff at. I just hope Warner Bros and Nether Realm get the balance right when it comes to these game-changing features and, crucially, allowing players to buy into better gear. Injustice 2 is out 2017 for PS4 and Xbox One.